Moscow and Saint Petersburg. Winter at its finest. Saw My favorite painting of all time. Rembrandt’s The Return of the Prodigal Son at The Hermitage Musuem in Saint Petersburg. 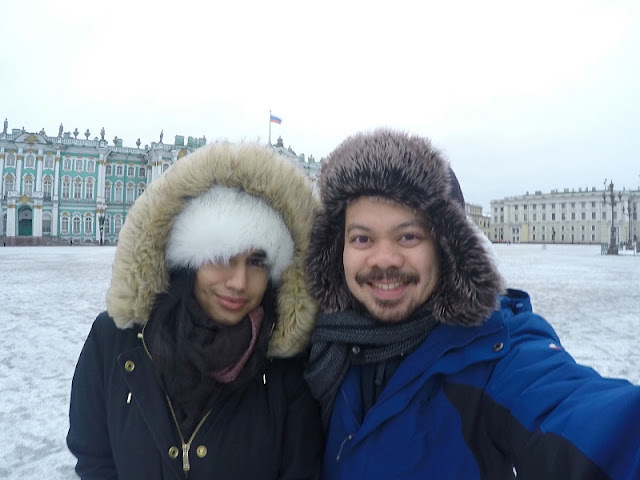 Experience -15 degrees celsius exploring Moscow while snow is falling. Took a bullet train from Moscow to Saint Petersburg. Saw Vladimir Lenin at his mausoleum. Went ice skating by St. Basil’s Cathedral, and of course, ate Ossetra caviar at a caviar bar in GUM mall. And to cap our trip, we had a nice, fine dinner at Cafe Pushkin in Moscow. The best. 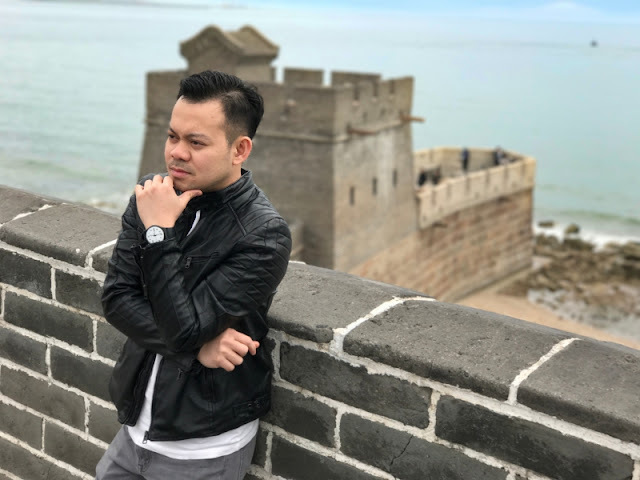 For our 3rd year anniversary in China (3rd Chinaversary), we went to Qinhuangdao-the place where the Great Wall meets the sea-for our celebration. Took a regular train from Beijing, stayed at the lovely Jinjiang Peninsula Seasons Hotel and had our anniversary dinner at Shangri-la Hotel Qinhuangdao. Peking duck at its finest. And of course, seeing and being at the end-most part of the Ming dynasty Great Wall was fulfilling. How many have actually seen the end of the Great Wall, right? When I went home in 2016, I had dinner with Klement-my nursing class in college-and we planned to have a reunion. Klement Reunion Tour 2017 was born. This month, it was realized. One of my most fulfilling travels. You can’t go wrong with traveling with your class in college. 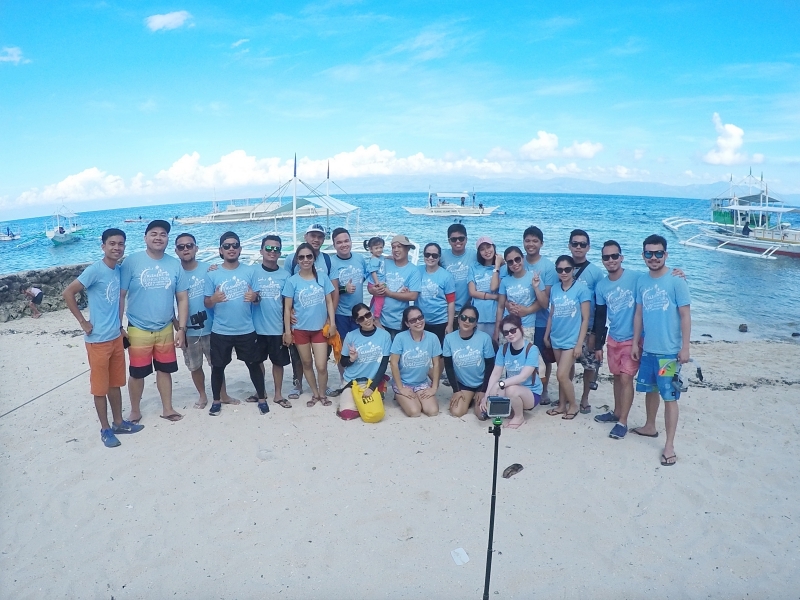 We rented 2 vans and explored southern Cebu. Waterfalls, beaches, island hopping, historical churches, sardine run, mountains, worships, and of course, lots of laughter, fun, and good food. I also saw my cousin in Cebu City, who I haven’t seen for a long time, and enjoyed Filipino food at Gerry’s Grill. Our annual family vacation. 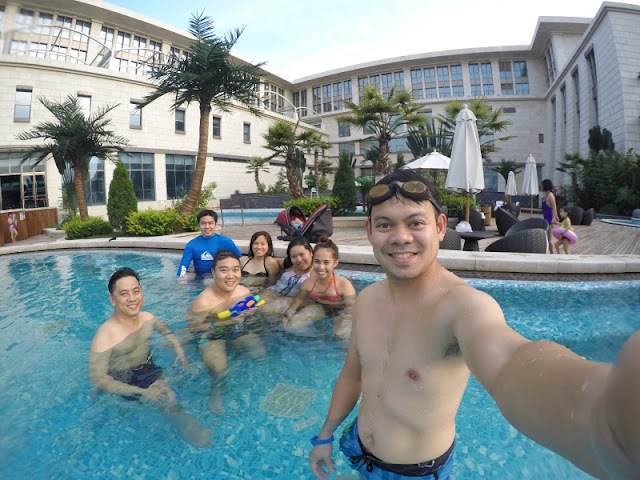 We went again to Dahilayan Gardens and Resort. Stayed at one of the villas there and tried glamping, too. Spent most of the time just relaxing, grilling fish, and just enjoying the fresh, cool mountain breeze. 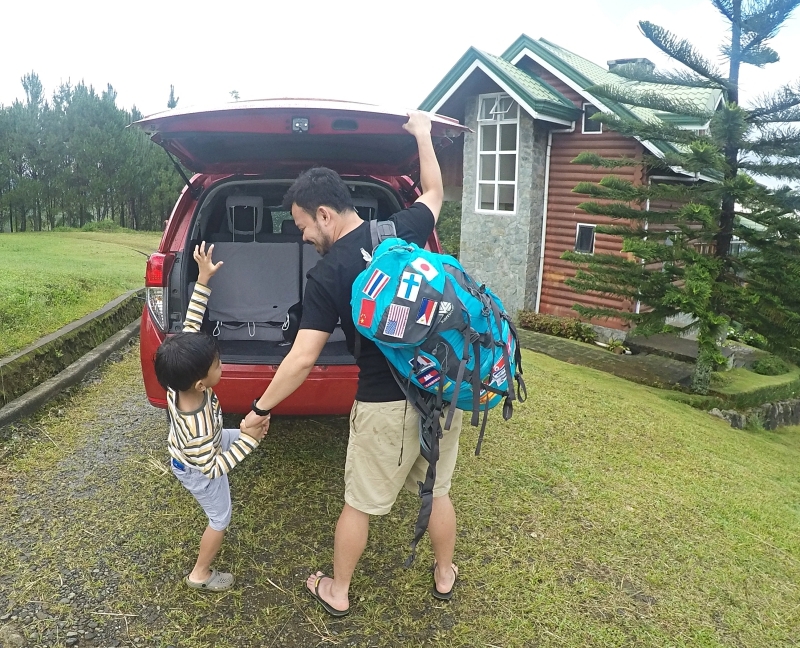 We also went to Ultra Winds Resort; a hotel resort with infinity pool located in the mountains of Baungon, Bukidnon. It’s just a few minutes from Cagayan de Oro City. Had a nice dinner at Hotel de Susana at Valencia, too. 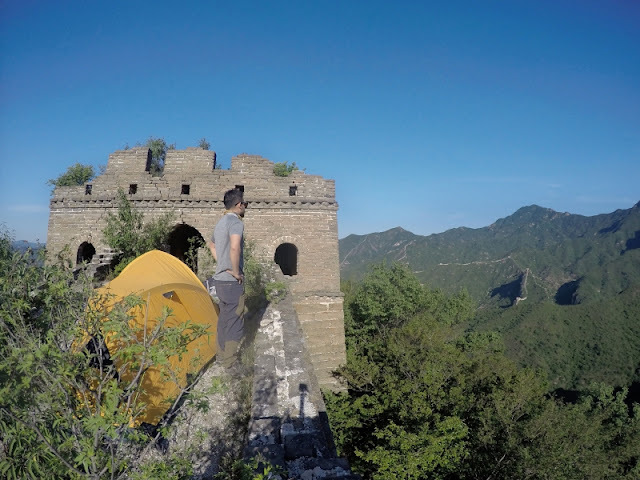 Camping on the unrestored, not-open-to-the-public, wild Great Wall of China. It was built during the Ming Dynasty in 1600's . 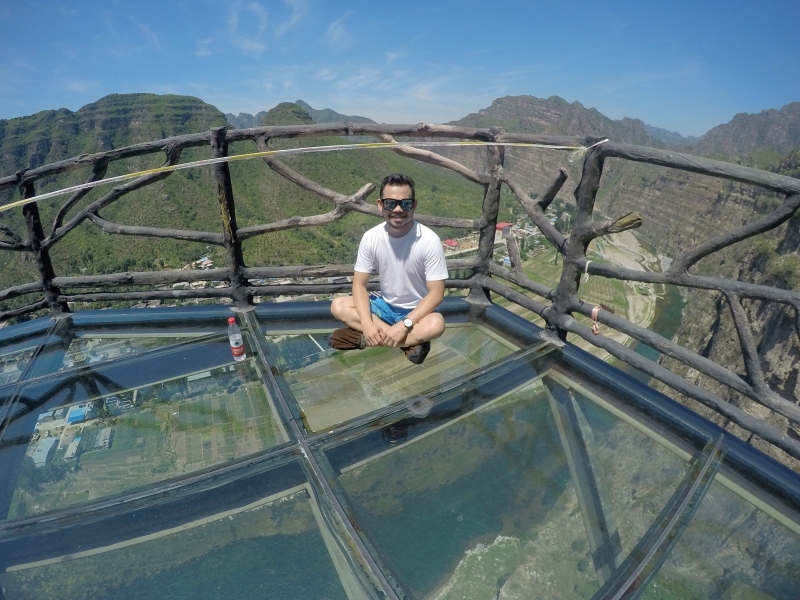 I consider this the coolest thing I’ve done in China, by far. To sleep, to literally spend the night on one of the 7 Wonders of the World, is just too cool and awesome. Stargazing at night, bonfire, and spending it with awesome people from different parts of the world made it even more memorable. I’ve learned a lot from our guide, too, regarding the Great Wall and China’s history as a whole. Spring is slowly ending and summer is slowly creeping in. Because of the Dragon Boat festival, we had the opportunity to explore this city in China. It was an overnight train ride from Beijing. We were awed by the historical Yungang Grottoes. And of course, the Hanging Temple located near Mt. Heng which was built 1,500 years ago. 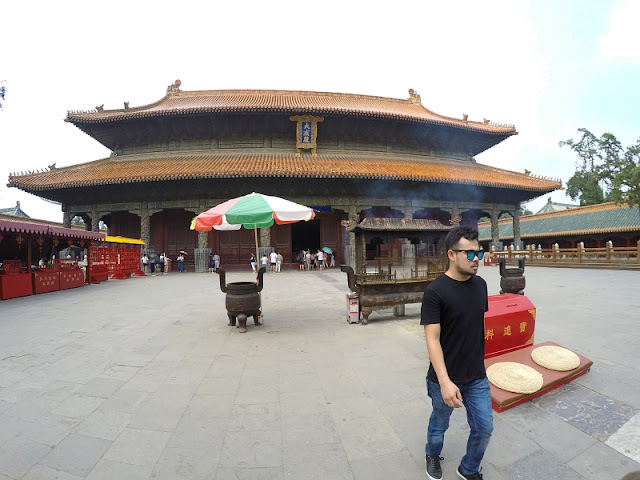 Had the opportunity to visit interesting and historical buildings, too; like the Huayan Monastery, Confucian Temple, and the Wooden Pagoda in Yingxian county: the tallest wooden pagoda in the world. Teambuilding. That means all expenses paid by the company. I cannot complain. We went to Shidu, a place full of beautiful mountain karst. Went rafting, paint balling, and had a wonderful Northern Chinese cuisine at one of the houses turned restaurant of the locals in that place. All ingredients were fresh and natural. That was one of my best meals in China. We also experienced being on a glass bridge. This one is bittersweet. My grandmother and cousin died because of a car accident. That’s why I went home. But at the same time, it was a grand reunion. Almost all of my cousins, uncles, aunts were there. I’ve seen cousins who I haven’t seen for a long time. And even though we miss them, we are assured that we’ll see them again. Every year on my birthday, I travel. I want to make that day extra memorable. This time, I visited one of the most important places in Chinese culture and history. Qufu, Shandong: the birthplace and hometown of Confucius. I was able to see his tomb which is located at the largest cemetery in the world; The Cemetery of Confucius. And of course, Temple of Confucius, Qufu, the largest Confucian Temple in the world and Kong Family Mansion was visited. 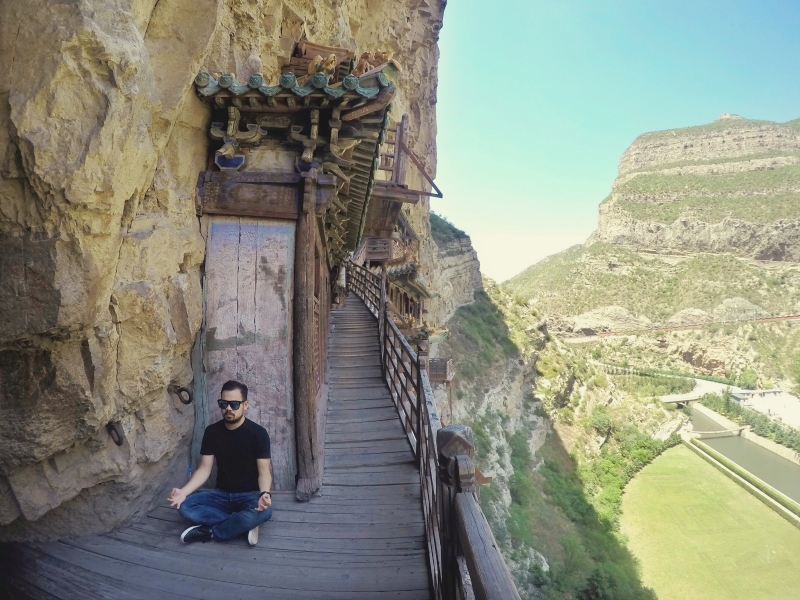 This UNESCO World Heritage laden town is a wonderful break from the busyness of Beijing. Horse carts, e-rickshaws, temples, local cuisine and capped with a relaxing Chinese massage after a tiring day. A memorable birthday trip once again. Praise the Lord for another year. My friends and I went to Tianjin, one of the major cities in China over the weekend to celebrate one of my friends’ birthday. Had a great time taking the bullet train, relaxation at a hotel resort, Chinese dinner, and window shopping at an Italian-inspired outdoor mall, Florentia Village. The birthday lunch at a Japanese restaurant was fun and memorable. My most meaningful travel this year. My siblings and I visited Myanmar. 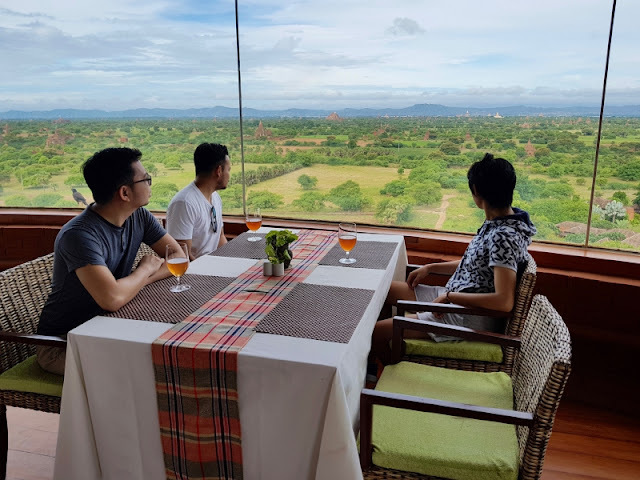 We explored Yangon; marvelled at beauty and awesomeness of Shwedagon Pagoda, ate lots of Burmese food, took the Yangong Circular Train and had a taste of a different culture. We also celebrated my brothers restaurant at a nice restaurant in the former capital. Had a wonderful Burmese buffet and cake from a nearby French-inspired cafe. We took the overnight bus to Bagan. Had a wonderful time exploring kingdom with its thousand temples. Had a car tour arranged at our hotel and the next day, rented e-bikes and had a wonderful adventure. We loved the resort hotel where we stayed: Myanmar Han; one of my relaxing accommodations ever. 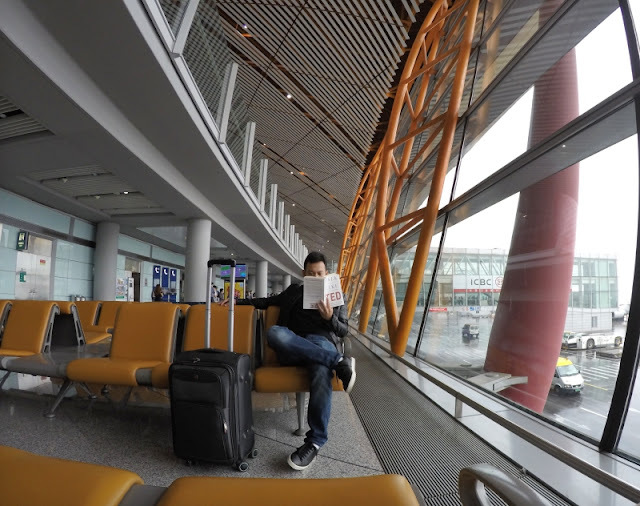 On my way back to Beijing, I had an overnight layover at Guanzhou, China and my airlines-China Southern Airlines-provided me a hotel for the night. It’s a wonderful hotel near the airport with complimentary breakfast, pick-up, and transfer. Thank you, China Southern Airlines. Been wanting to visit this country since I’ve read the book, Eat, Pray, Love in 2014. Visited the “Eternal City”: Rome. To be able to visit one of the major historical cities in the world is indeed very fulfilling. 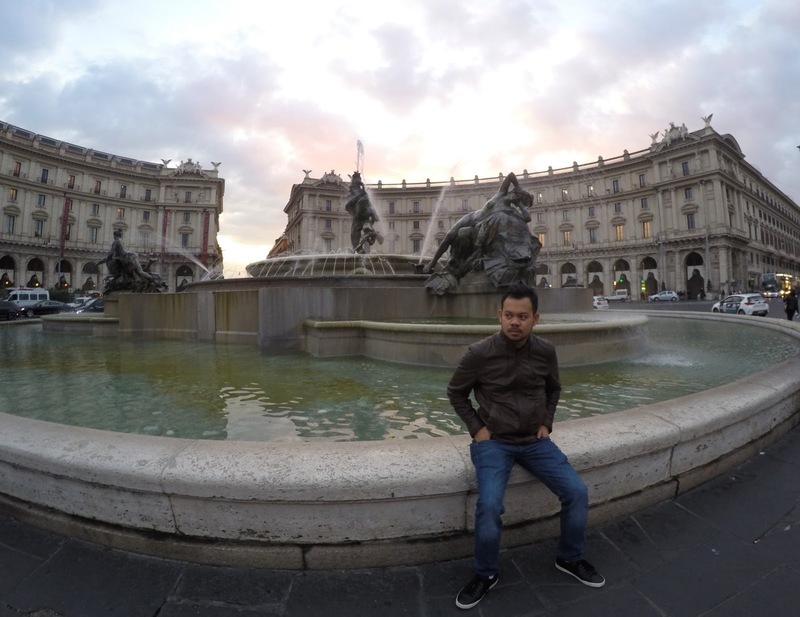 I visited most major sites and enjoyed every dining experience Italian style. You know, where you dine at a restaurant at a table outside on a cobbled street. Relaxing while watching the world go by. I also went to Naples for the sole purpose of trying neapolitan pizza at L’antica Pizzeria Da Michele: considered the best pizzeria in Italy. Took the Italian bullet train, Frecciarossa: Business Class Silenzio (Silence). Layover in Kiev, Ukraine and experienced Ukraine's autumn temperature. Cold. The smallest city in the world. Another meaningful accomplishment this year. Visited St. Peter’s Square and St. Peter’s Basilica. 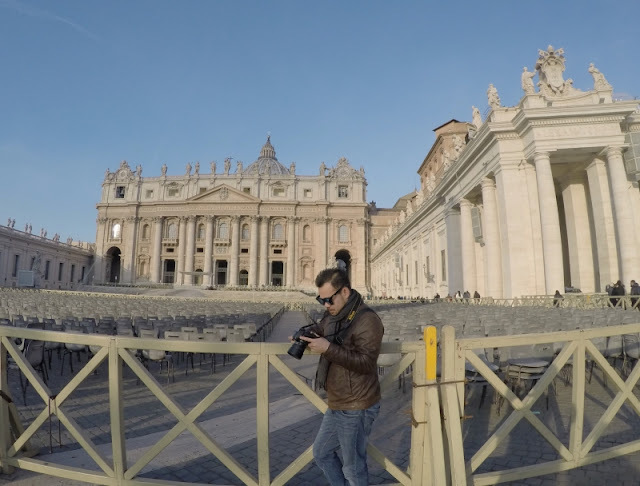 Went to the Vatican Museum. Had a great time admiring the works of the greatest artists in the world. Dropped my jaw beholding Michelangelo’s work at the Sistine Chapel. The greatest artwork I’ve seen by far. Had a nice “Roman” lunch at the Vatican garden. 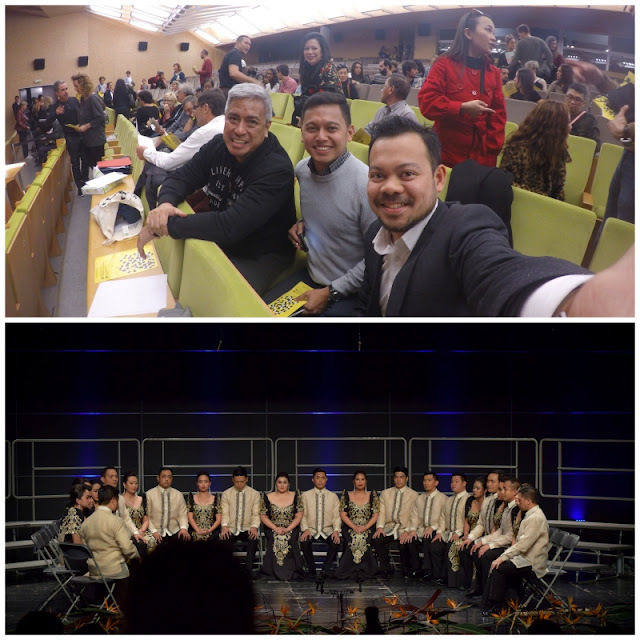 My main purpose of going to Europe this year was to watch the European Grand Prix for Choral Singing (Grand Prix Europeen du Chant Choral); the toughest and most prestigious choral competition in the world. Also, to support the Philippine Madrigal Singers. It has been a dream to watch the EGP. And with the Madz competing this year, how can I let this pass? So I flew all the way to the small town of Tolosa in Basque country to experience this event. Although Madz didn’t win this time, I’m still happy I get to watch them compete. (They sounded amazing). Tolosa is my favorite town in Europe by far. So beautiful. My kind of town. Congratulations to Vesna Children’s Choir of Russia for winning this year’s competition. Explored Bilbao, too. A beautiful city and one of the shooting locations of the James Bond 007 movie, The World is Not Enough starring Pierce Brosnan, my favorite Bond. Layover in Brussels, Belgium and had an authentic Belgian refreshment/snacks. So there goes my travels in 2017. I thank God for giving me these blessings and His angels who protected me during my trips. I’m very happy I spent my money on these experiences instead of material things. 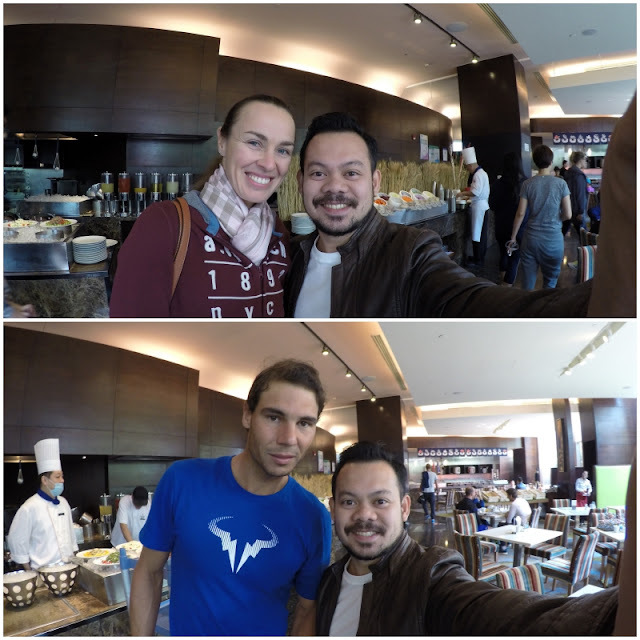 This is, technically, not travel, but I got to meet my favorite tennis players when I watched ATP 500 China Open 2017 here in Beijing. Here’s a photo with Rafael Nadal and Martina Hingis, my favorite tennis players of all time. Watched Maria Sharapova’s match, too, at the main court. How great it is to travel. May it be alone or with the group. 😀. God's nature is the best. Been secretly envious of your China adventures, TBH. Wishing you more countries to scratch off your map, Reg! Hi Rain. Thanks. Pasyal ka dito. Kita ulit tayo. Happy new year!